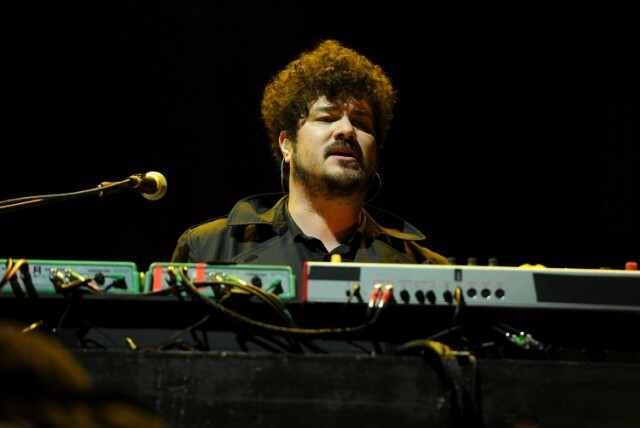 Indie-rock singer-songwriter, multi-instrumentalist, and producer Richard Swift passed away this summer at the far-too-young age of 41. Swift had battled with alcoholism for years, and his family revealed that he had been diagnosed with hepatitis and liver and kidney distress shortly before his death. Secretly Canadian posthumously released his final album, The Hex, in September, and now, a number of Swift’s friends and collaborators have come together to launch a new 7″ series in his honor. That 7″ series, The Fug Yep Soundation, is intended to raise awareness for those suffering from addiction and to support those in need. All proceeds will go to Swift’s family and two charitable organizations, MusiCares and Music Support UK. (While he was alive, Swift checked himself into rehab with assistance from MusiCares). The Black Keys’ Dan Auerbach, David Bazan, Jessie Baylin, Fruit Bats, Gardens And Villa, Damien Jurado, the Shins’ James Mercer, Pure Bathing Culture, Foxygen’s Jonathan Rado, and Nathaniel Rateliff And The Night Sweats willl all contribute songs. The first installment in the Fug Yep Soundation series is a dreamy cover of Vince Guaraldi’s A Charlie Brown Christmas classic “Christmas Time Is Here” from Lucius. Richard Swift produced, recorded, and mixed their version, and he also drew the cover artwork for the 7″ single, which will be available 12/7. Listen below and visit The Fug Yep Soundation website here.